My Fashionable Designs: Free Printable Christmas Labels! 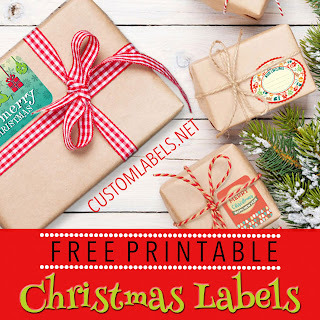 With Christmas just one week away, I'm happy to share some free printable Christmas labels, courtesy of customlabels.net! You will love these beautifully designed labels in a variety of shapes and sizes as a lovely finishing touch for your packages! Print on sticker paper for easy adhering. Enjoy! Holiday Class Party Craft Idea!